Editor, Anais Nin Reader. Chicago: Swallow Press, 1973; rpt. New York: Avon Books, 1974. Editor, Shaping: New Poems in Traditional Prosodies. Washington, D.C.: Dryad Press, 1978. Thawing Out (poems). Washington, D.C: Dryad Press, 1979. Near the Fire (poems). Washington, D.C.: Dryad Press, 1983. Nineteenth Century American Poetry: An Annotated Bibliography. Pasadena, CA: Salem Press, 1989. Creative Writer’s Handbook. Co-author Allan B. Lefcowitz. Englewood Cliffs, NJ: Prentice-Hall, 1990. 2nd ed. 1994. 3rd ed. 1999. 4th ed. 2005, 5th ed. [now a Longman imprint] 2009. Editor, Fourteen Landing Zones: Approaches to Vietnam War Literature. Iowa City: University of Iowa Press, 1991. The Vietnam War in Literature: An Annotated Bibliography of Criticism. Pasadena, CA: Salem Press, 1992. Anais Nin and Her Critics. Columbia, SC: Camden House, 1993. The Separation: Poems. Woodbridge, CT: Vietnam Generation/Burning Cities Press, 1995. Editor, The Critical Response to Anais Nin. Westport, CT: Greenwood Press, 1996. Co-editor, Open Door: A Poet Lore Anthology 1980-1996. Bethesda: Writer’s Center Editions, 1997. Co-editor, Masterplots II: Poetry Series Supplement. 3 vols. Pasadena: Salem Press, 1998. Co-editor, Retrieving Bones: Stories and Poems of the Korean War. New Brunswick: Rutgers University Press, 1999. 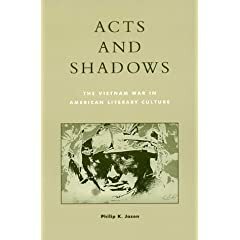 Acts and Shadows: The Vietnam War in American Literary Culture. Lanham, MD: Rowman & Littlefield, 2000. Co-editor, Encyclopedia of American War Literature. Westport, CT: Greenwood Press, 2001. Making Change (poems). Washington, D. C.: Argonne House Press, 2001. Editor, Masterplots II: Poetry Series, revised edition. 8 vols. Pasadena: Salem Press, 2002. Editor. Critical Survey of Poetry, 2nd revised edition. 8 vols. Pasadena: Salem Press, 2003. Co-editor. Don’t Wave Goodbye: The Children’s Flight from Nazi Persecution to American Freedom. Westport, CT: Praeger, 2004. Philip K. Jason Greatest Hits: 1970-2001. Columbus, OH: Pudding House Publications, 2005.